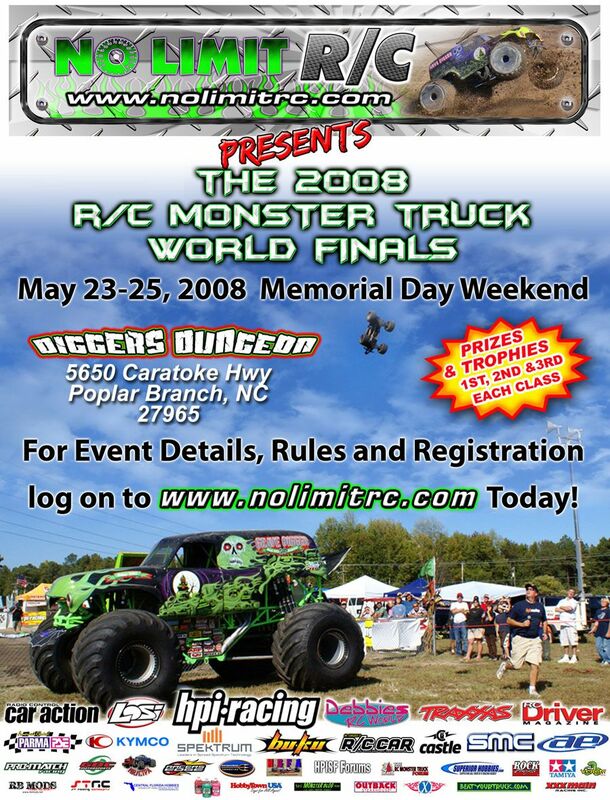 Events: RC Drag Racing, RC Monster Truck Bashes, and more! « Big Squid RC – RC Car and Truck News, Reviews, Videos, and More! While doing our server and software updates, it looks like we broke are event manager! While we work on getting it fixed and up and running, I wanted to remind everyone about some upcoming events! If RC Drag Racing is your thing, then the Lynwood RC Drag Way is where you want to be this weekend! 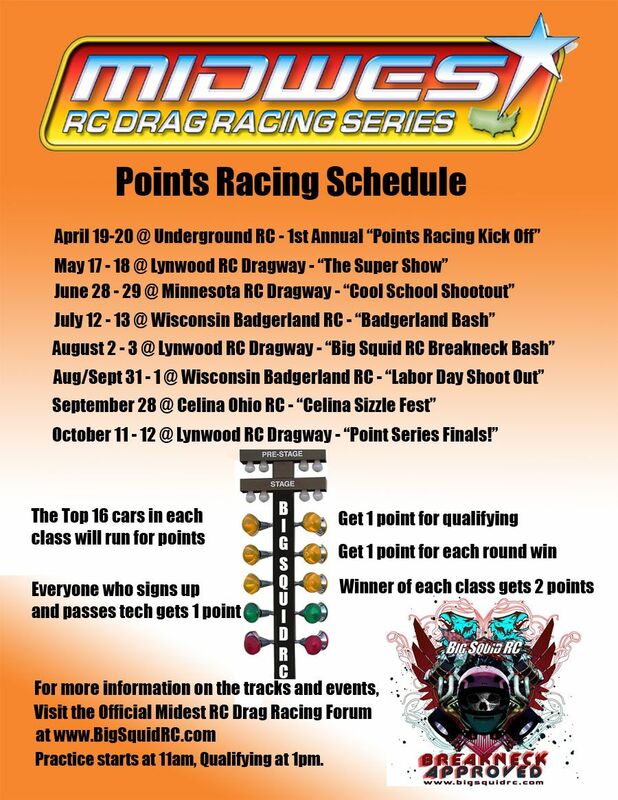 It’s the second event of the Midwest RC Drag Racing Series May 17th and 18th! 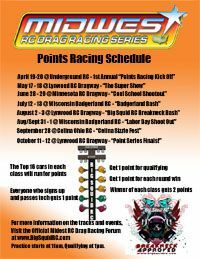 For all the details and information, check out the official Midwest RC Drag Racing forums Right Here! 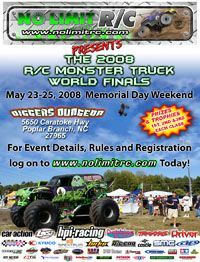 If RC Monster trucks are your thing, then check out the NO LIMIT R/C 2008 Monster Truck World Finals coming up May 23-25! This event is really becoming “THE” event to attend! Over in our forum is a big thread with all the details. You can read it Right Here! Finally we have our own BASH-A-PALOOZA event! Hosted By: Leisure Hours Hobbies at the amazing Leisure Hours Raceway June 14th! The official event page is Right HERE! Or click the new link over on the left! This event is going to be awesome! We are giving away a HPI Racing Savage Monster Truck!!! Plus a TON of other great prizes! Check out the Event Page for all the details you need!